With the end of the season in sight, the Barça youth teams show no sign of letting up when it comes to gifting us great goals to feast upon each weekend. In the last round of matches for the teams at La Masia we find five strikes worthy of champions. Heading the list this week is none other than Barça B’s Sergi Palencia with his wonder goal from the league game against Ebro. Not far behind we find Ricard Sánchez from the U19B side from their win over Europa. 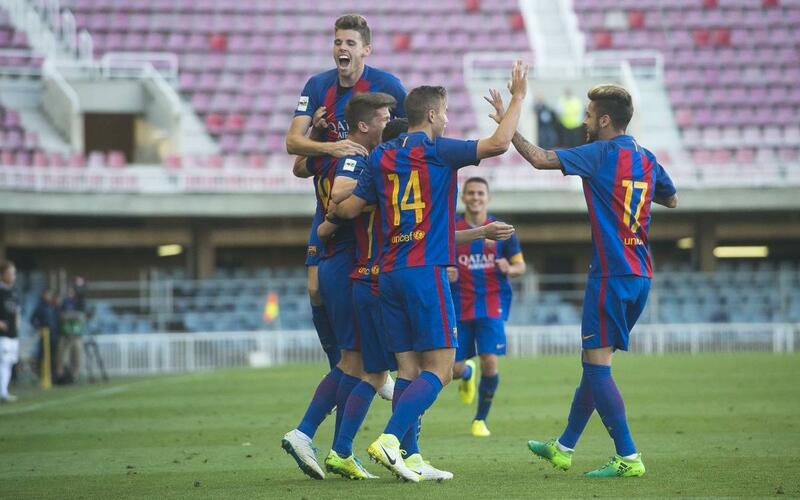 Barça B striker Marc Cardona earns his place in the top five with another strike from the win over Ebro. The U19B team provide another highlight with Kun Temenuzhkov’s effort against Europa. To round off the list, Álex Rico from the U16B team contributed this stunner from their fixture against Nàstic.